Posted on 7/23/2018 by Benjamin Heyworth. 0 Comments. 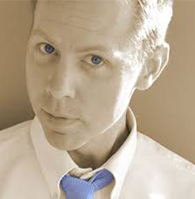 Last week I interviewed McKay Dunlap, the instructor of Crystal Reports 101 Quick Start. McKay Dunlap brings over 18-years of business intelligence, analytics, database, search, ETL, data warehousing, and big data experience. He takes a practical, no-fluff, and hands-on instructional approach to teaching and demonstrates his working knowledge of the subject matter through simple and clear language. 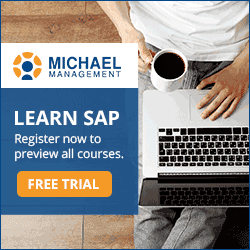 MMC - Why do you teach SAP Crystal Reports? McKay - Even given the light speed pace of change in data, reporting, and analytics, there is still a critical need for operational information consumable by actual human beings. Crystal Reports is the most economical, feature-rich, mature and proven solution that fills this key role in various industries, companies, and countries around the world. Organizations need to know what happened, or what is wrong, as well as where things are headed. The problem is that most people only use a small percentage of the features available and I try to teach them how to utilize the application to be more than just a reporting workhorse, but a master analytics, reporting, and visualization engine. People actually have a Data Ferrari under the hood of what most people - upon initial inspection – consider to be a slightly faster version of 1976 Ford Pinto. MMC - What is your learning and teaching philosophy? McKay - Personally, I am very much a fan of providing as much hands-on practice as possible. In other words, learn by doing. I try to keep the lectures at a minimum and highlight concepts with solid examples. I also believe in failing – I think I have learned more from Failing than from any smooth successes that I have had. Walking students into errors and out of errors in a test environment is a good way to reinforce and remember what to do or how to approach a data problem in an ideal way. MMC - What is the most important thing you want others to learn by taking your courses? McKay - I think the people can maximize their investment in this tool and learn to approach the software in a more effective approach. Essentially, get the tool to do what you want, instead of the tool limiting/determining what you can do or how you can do it. MMC - Imagine, I were just starting to learn SAP, and it feels overwhelming to me – what is the most important, non-job specific thing I should understand about learning SAP Crystal Reports? McKay - I think that most of my students already have the most important piece of the puzzle: Business Knowledge of their data. Keep in mind, data is data. Whether it comes from an SAP System, SQL Server, Oracle Financials or another system. We have numbers, text, dates, etc. this does not change. The fact that you can look at these and tell what it means is the biggest hurdle. The rest is just practice. MMC - What can companies do to better prepare and train their employees on SAP Crystal Reports? McKay - Companies need to invest in their employees. The better they do the better the company does in the scheme of things. This way they can maximize their investment in the SAP platform by cultivating their very own in-house experts. [SAP training shouldn’t be a burden for any company. Download Overcoming SAP Training Obstacles. MMC - What are the most important changes happening in SAP now? How can companies and professionals be better prepared for this? McKay - The entire ecosystem, not just SAP, is constantly changing, evolving – the way we manage and consume data is also changing our business, society, and even the way we interact. Our systems are evolving as a result. The only real constant is change, and the best prescription for this is continuous learning, improvement, and knowledge sharing. Companies and individual professionals face a much more dynamic and challenging environment than even 15, 10 or even 5 years ago. With so much information, it helps to have a learning system and community – like MMC that keeps things focuses and manageable for a complex system such as SAP. MMC - Finally, tell us about your course - Crystal Reports 101 Quick Start. What is it? Who should learn this? What makes your course different from similar courses I have seen? McKay - Crystal Report 101 Quick Start Course is a course that is designed to get one up to speed as soon as possible. The focus is on the main features that are used 80-90% of the time. If you need to present data in a meaningful way that will allow you to drill-down into the nitty-gritty details, then this is the course for you. This course is meant for business intelligence professionals to report writers to even database administrators looking for a tool to display data in a meaningful way with one of the most prolific and proven tools out there. Being a hands-on and very practical course, it comes with a 4M+ record set to practice on. That way the student can follow along or take the lessons in a different direction or experiment with a safe environment. If you're interested in taking Crystal Reports, you can preview the 1st lesson for free. Simply click the image below to get started.